But what's weird is that there was no competing website that Kelling could identify, and no way of telling what patents he was in violation of. Hell, even when he asked the "company," FotoTime, how he was infringing on their patents, the company refused to respond. These "companies," if you can even call them that, have become so ubiquitous that there's now a derogatory term for them in Silicon Valley: trolls. Patent trolls. 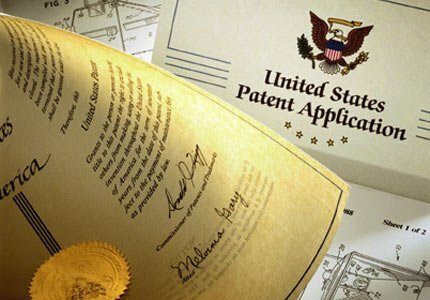 Patent trolling has become big business. From 2004 to 2009, the number of patent infringements jumped by 70%. Licensing fee requests, like what happened to Kelling, went up 650%. Intellectual Ventures is one of the biggest ones around. They've sued countless companies for patent infringement and there's so much fear of them that most companies won't even go on the record when they hear their name. What do they sue over? Well, the patents themselves are so broad that one claims to cover "a configurator using structure and rules to provide a user interface." One hoarded by Lodsys, another patent troll, is for all purchases made within an app. These are big fundamental things that an app couldn't possibly avoid infringing. Thus, any developer is at risk of being sued. Worse yet, there's no transparancy about how much money these patent trollers are making, since even NPR couldn't get anyone to go on the record about how much they paid to settle their lawsuit out of court. At this point, all the big companies are simply hoarding patents in the hopes of protecting themselves against lawsuites. It's a "nuclear arms race," as NPR puts it, and it does nothing to encourage innovation. Intellectual Ventures is making truckloads (the company was recently valued at 4.5 billion dollars) and companies like Google, Nokia and HTC are buying shares just to protect themselves. That's money they could have spent inventing the next great cell phone. Listen to the most recent episode of This American Life here and let us know what you think of this whole patents mess in the comments below. For sure. We also need to fundamentally change the way the entire patenting system for software works so that these broad claims can't be leveraged at small app developers. Unless the "patent trolls" are reined in, there will be no incentive for future development. The imaginative developers will hesitate to put time and effort into something only to have a troll steal it. I think it is theft regardless of what cloak they hide beneath.